Does this work with posh mudcrabs? 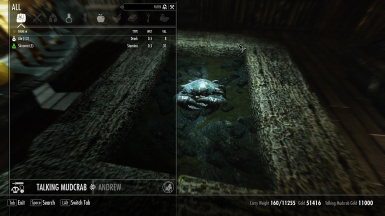 I can confirm the mudcrab merchant's gold re spawns in my game after 48 hours and there's no problems with this mod apart from some floating scrap metal outside the shop but I can use disable console command on it. The courier doesn't appear for me. Can I just find the place? If so, where is it? If anyone is still interested some users reported merchant gold not resetting and after testing this on my end I can find no such occurrence. 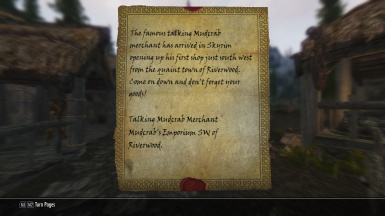 If you find this you should note that gold on merchants does not replenish for 48 hours game time. 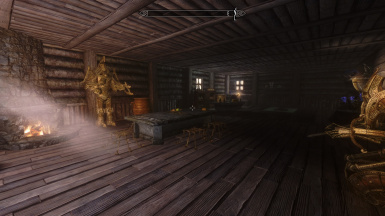 If anyone has any interest in this mod I would appreciate the feedback as I don't want to leave a broken mod on the nexus however as stated that the 48 hours rest in game works on my end to replenish merchant gold. Confirming after a 48 hour wait, his gold is not resupplied. 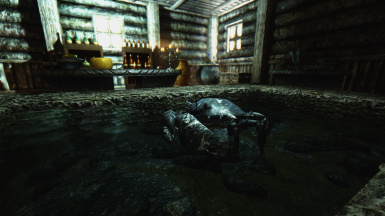 Mudcrab merchant has no gold for me. 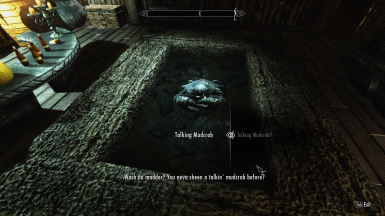 No other conflicts or errors with the minimal amount of mods I am running. Wait 48 hours for gold to replenish. 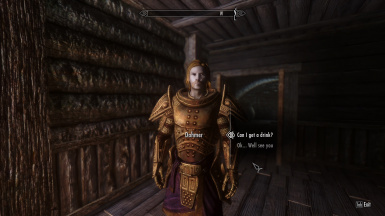 edit: hm...I cant get rid of the invite after the quest. Regarding invite; I'll take a look if I get time. As for the voice I only regret not sourcing out for someone to do it more professional considering I recorded this on a headset. Sorry peoples I don't have much time for mod stuff atm because of a J O B but I shall try to take a look at all of those bugs reported and fix them for you all. 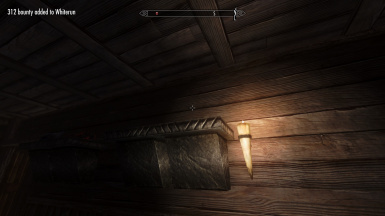 I think there is a problem with one of the braziers in the basement of the emporium. It's kinda floating right next to it. Just me? 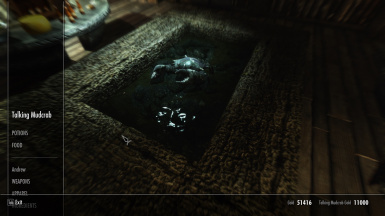 Now that my Skyrim is (relatively) playable, I tried to visit this emporium. Unfortunately, I crashed right outside the entrance. Any incompatibilities you can think of? 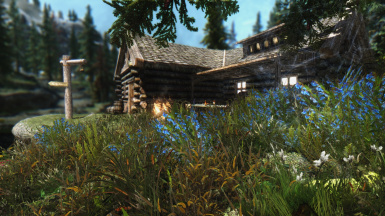 Skyrim Flora Overhaul maybe? Point The Way? Anything at all? 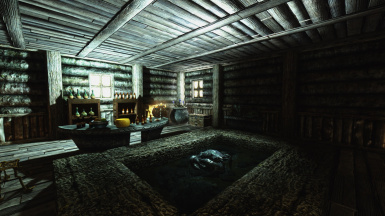 This isn't the only place I've crashed, the other would be going through the miniature pass and through a farm to Whiterun, but that's happened in the past before. 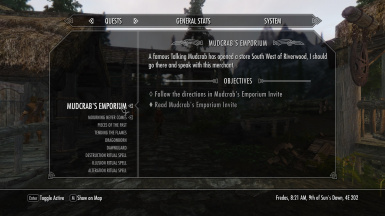 I use Vurts Overhaul and beyond that I can not say but sounds like you have problems elsewhere as I visit the Emporium often to offload all the stuff I must obsessively collect and am yet to experience any crash. 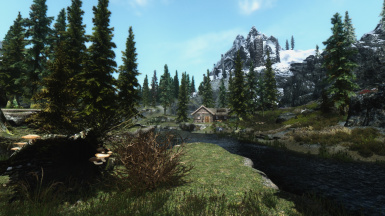 If you are not using ENB and have a lot of texture packs installed I would suggest that you use that for the memory patch as all other features can be disabled if for some reason you don't like them.